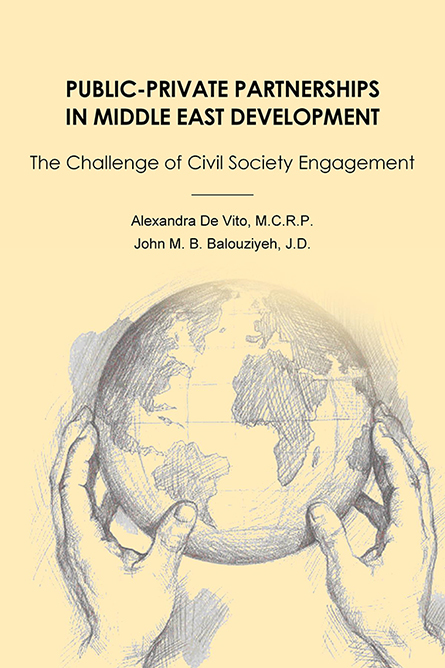 Author: Alexandra De Vito, M.C.R.P., John M. B. Balouziyeh, J.D. Over the past sixty years, the field of international development has come full circle, returning to priorities that value people over gross domestic product. Principles for successful development, such as institution building, managed competition to reduce corruption, human organization, the design of solutions to fit problems and social, political and economic stability, have also emerged throughout the international development literature. Building on this foundation, this book proposes the use of public-private partnerships as a tool for implementing development practice in the Middle East and analyzes the challenges that stand in the way of effective partnerships between governments and civil society. Alexandra De Vito graduated from the School of Urban and Public Affairs of the University of Texas at Arlington. An architect by training, she has been named Fellow of the American Institute for Yemeni Studies to undertake research on public-private partnerships in Yemen. Her particular interest in city planning as it relates to development has taken her to renovation and outreach projects in nations as diverse as Belize, Egypt, Kenya, Mexico, and the United Arab Emirates. 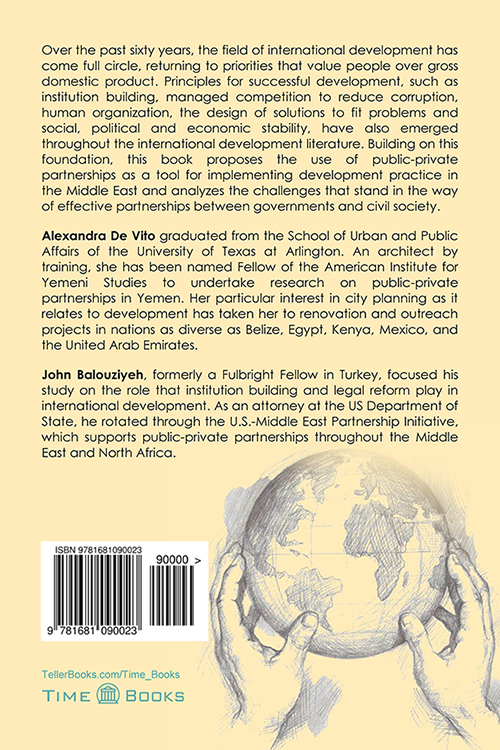 John Balouziyeh, formerly a Fulbright Fellow in Turkey, focused his study on the role that institution building and legal reform play in international development. As an attorney at the US Department of State, he rotated through the U.S.-Middle East Partnership Initiative, which supports public-private partnerships throughout the Middle East and North Africa.